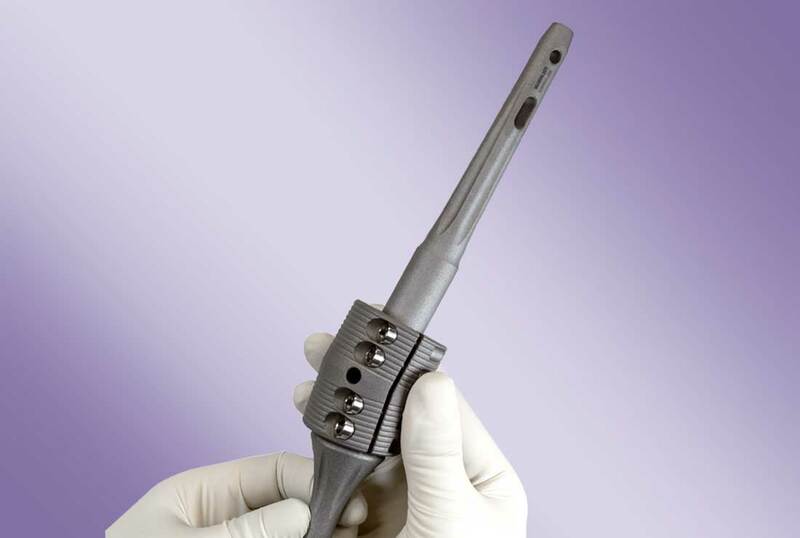 The OsteoBridge™ IKA, Intramedullary Knee Arthrodesis, system serves to fuse the knee joint. The use of the implant is also possible to bridge long bone defects and to resect the metaphyseal area of ​​the femur and tibia. OsteoBridge™ IKA (Intramedullary Knee Arthrodesis) knee arthrodesis allows cementless or cemented restoration. 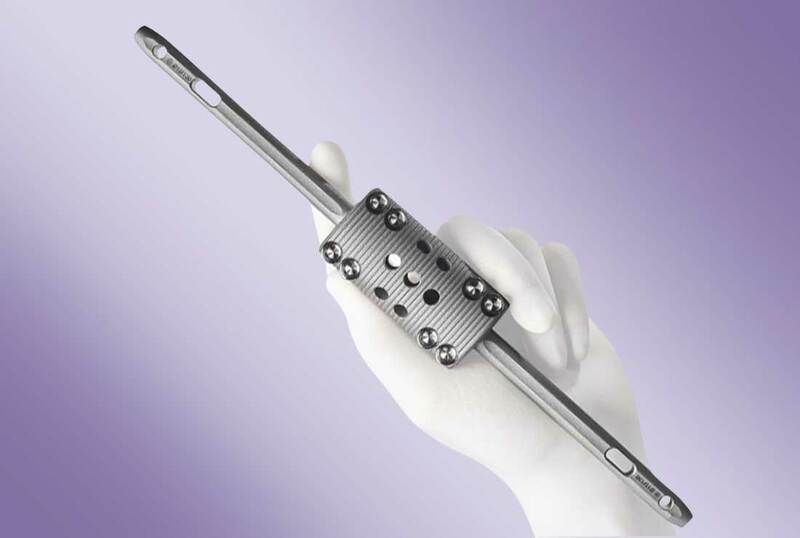 For the fusion of the knee joint with optimal anatomical adaptation and as an alternative to the treatment with plates or after plate fractures, the modular OsteoBridge™ system is a simple and stable solution for limb preservation. With the OsteoBridge™ IKA system, two nails are combined with one spacer. You can choose between straight nails with collars and conical nails without collars. The bowed nails without collars are intended exclusively for use in the femur. 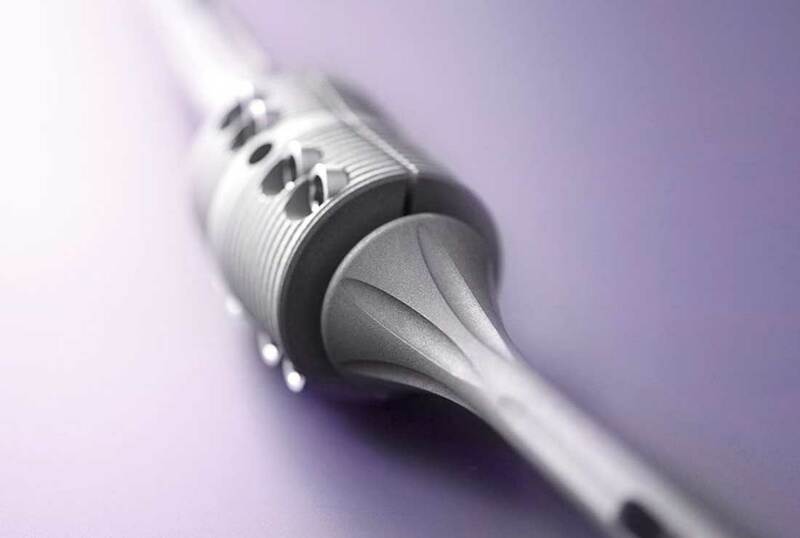 The OsteoBridge™ IKA system spacer is available with a fixed 10° angle, a standard length of 50 mm and a diameter of 40 mm. All nail design variations and sizes can be used with the IKA system spacer. Straight nails with a collar are used in revision procedures to replace previous prostheses. Intramedullary nails are available in lengths from 130 mm through 300 mm and in diameters from 10 mm through 20 mm.